Frame is the outcome of a successful combination of essential lines and traditional style details. With frame doors, it offers a complete mix of functionality and aesthetic appeal. 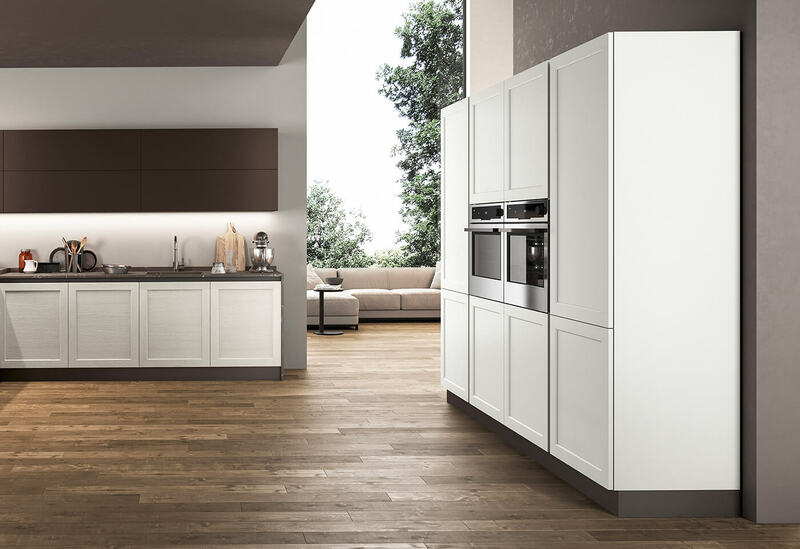 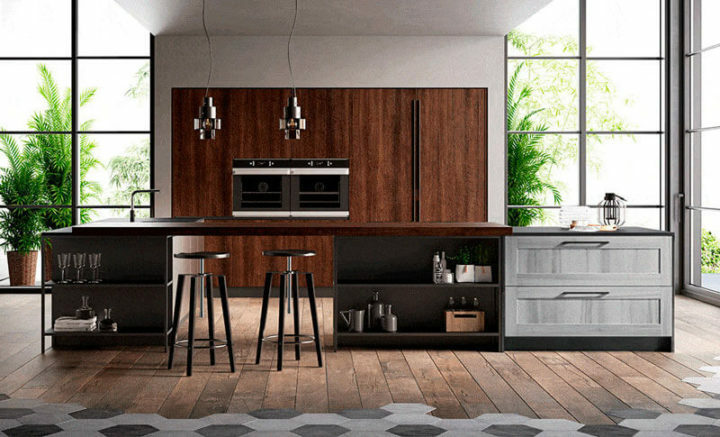 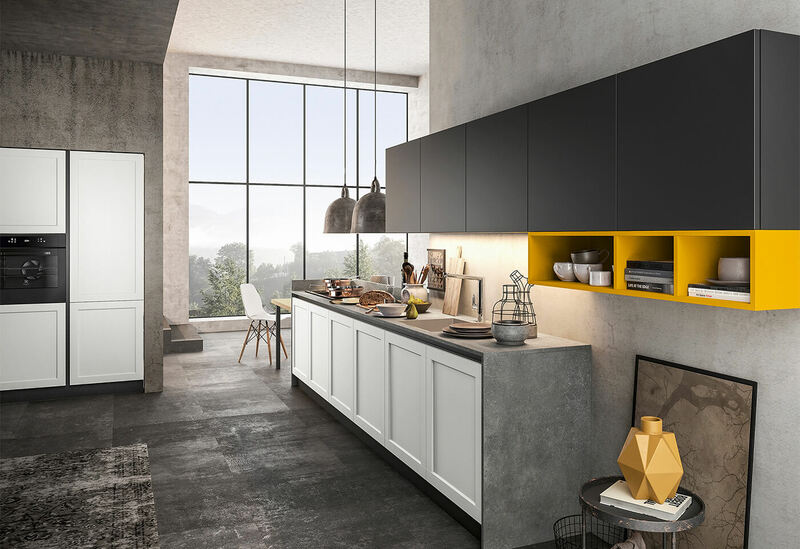 The main feature of the kitchen, it comes with exclusively delicate textured finishes in neutral shades that become unique when cleverly coordinated with coloured lacquers. 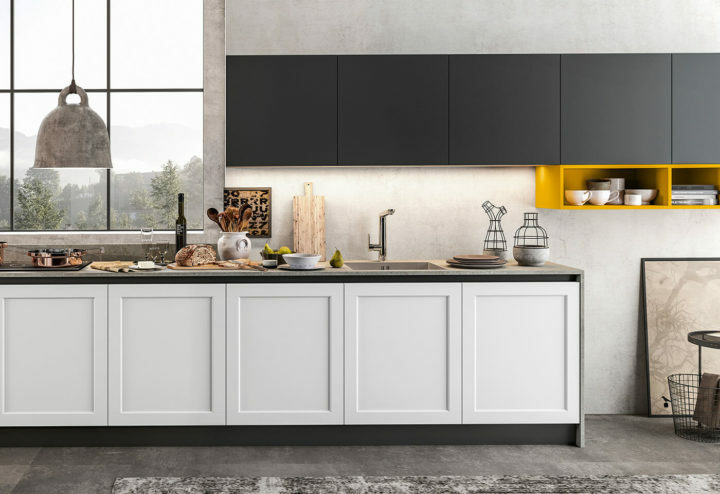 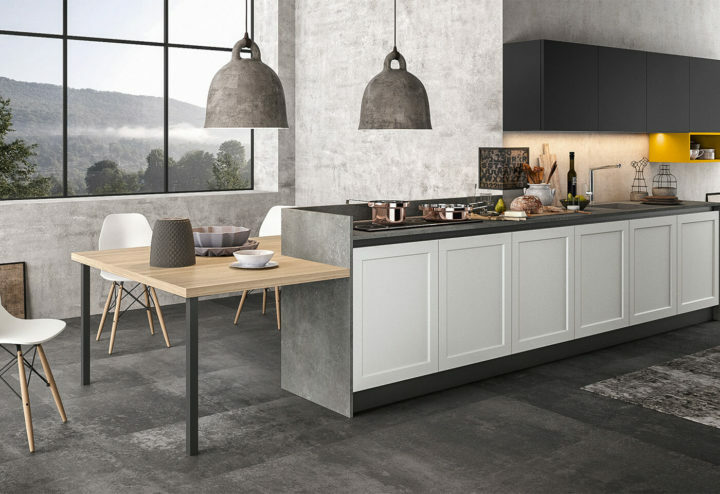 The composition to the side is a contemporary expression of the kitchen environment, with base units and tall units in white maxximatt, a grey portland laminate countertop, black lacquered wall units and an ochre lacquered open module. 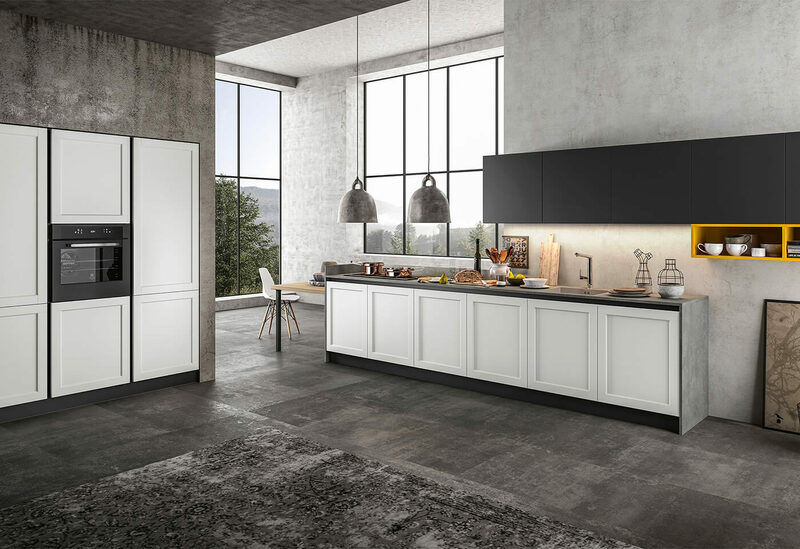 with a new design concept. 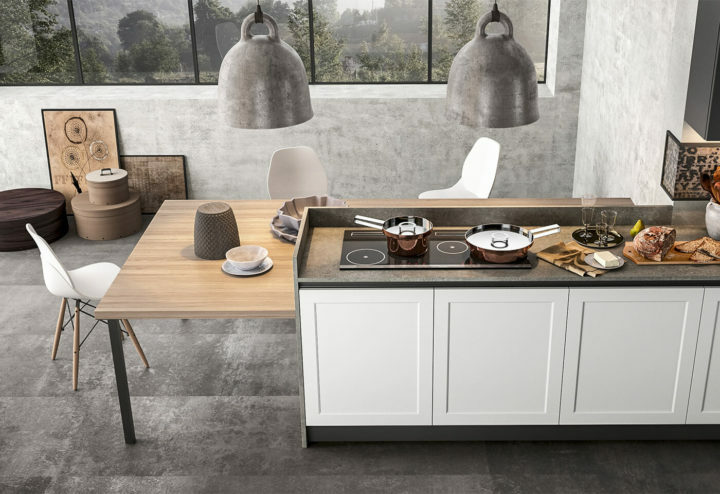 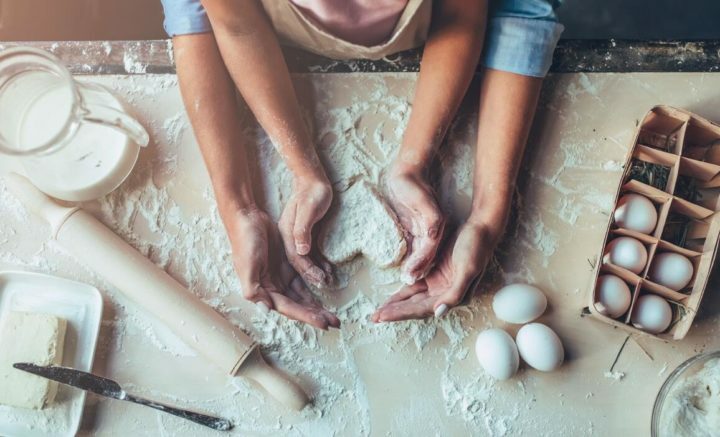 New compositional rules bring together full and empty spaces and different thicknesses, as in the countertops, highlighting different functions. 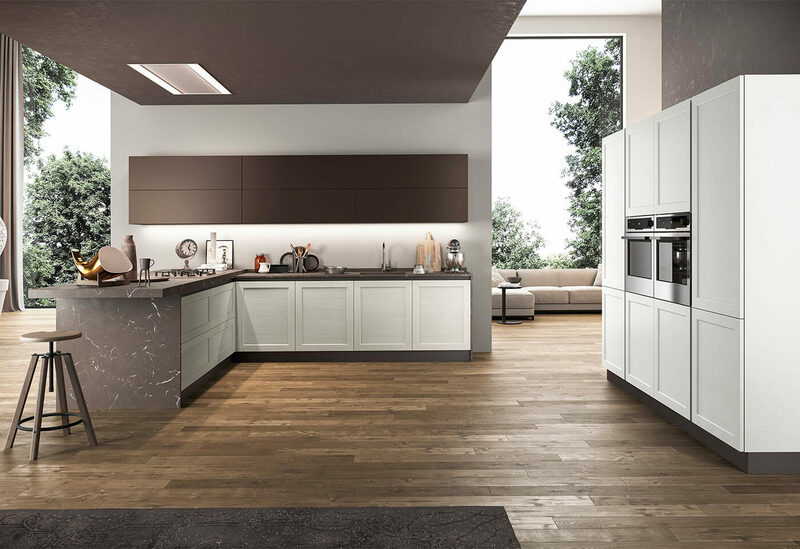 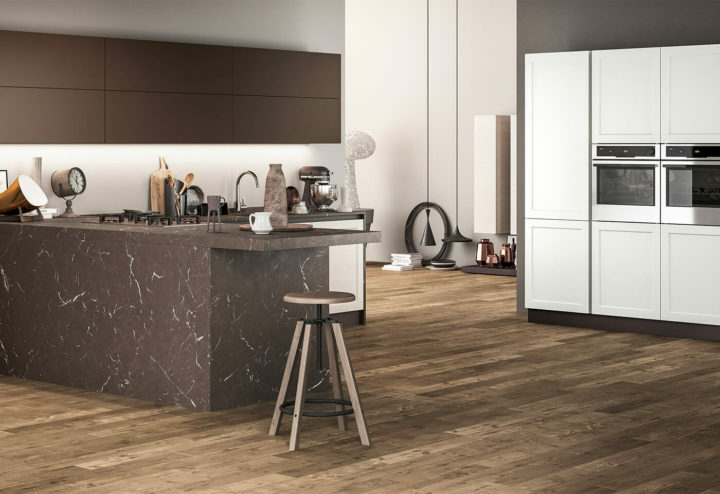 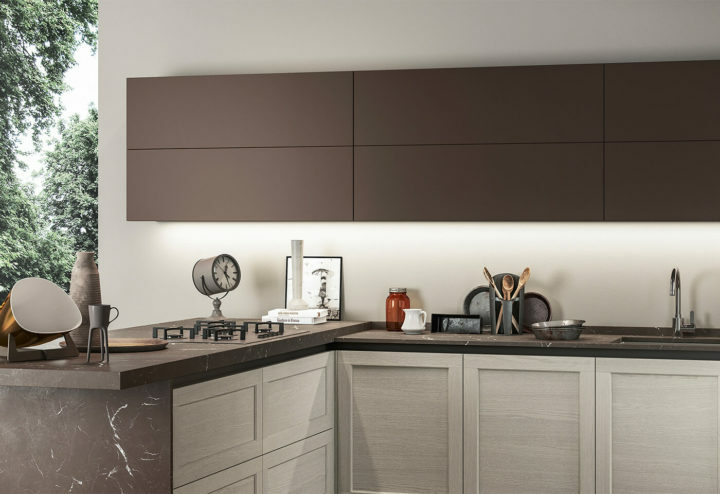 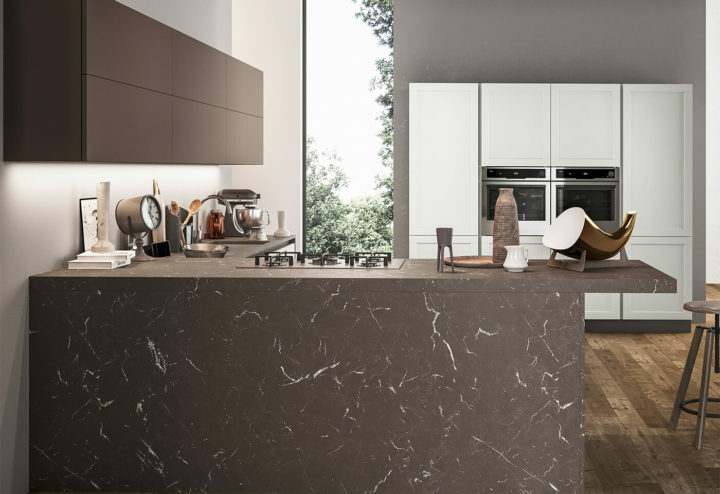 Lione ash base units and tall units are embellished with a graphit brown marble countertop, whereas carrob lacquered wall units are arranged in a compact composition matching the colours of burnished skirting boards and grip profiles.